Did you know, National Whiskey Sour day is the 29th of this very month? Knowing you, you may already know this, but if not – how awesome if that? I believe that, as every day has a sunrise and sunset, every day in the modern world is the celebration of something. Today might be National Striped Sock day (which would also be awesome – I love striped socks). I’m all for these celebrations, cause then there is just an endless number of reasons to pal up with pals and start celebrating! Woo-hoo-you! And really, the Whiskey Sour deserves a day – I mean, it goes back to the 1800s (who knowns exactly when? Not me), and its basic formula of booze, citrus, sweet is the bedrock of at least 1,564,348 drinks, and probably more. Sometimes, there’s the extra addition of some egg white, but today, in honor of purity and because I’m out of eggs, I’m making it in middle-of-the-road style. 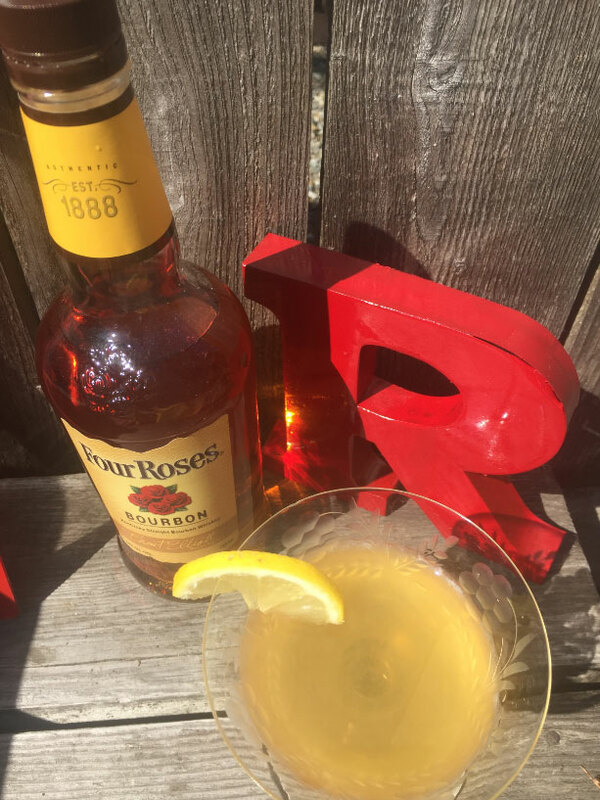 And, I’m making it with Four Roses bourbon, because roses are celebratory (I wrote more about Four Roses in an earlier post – check it out! 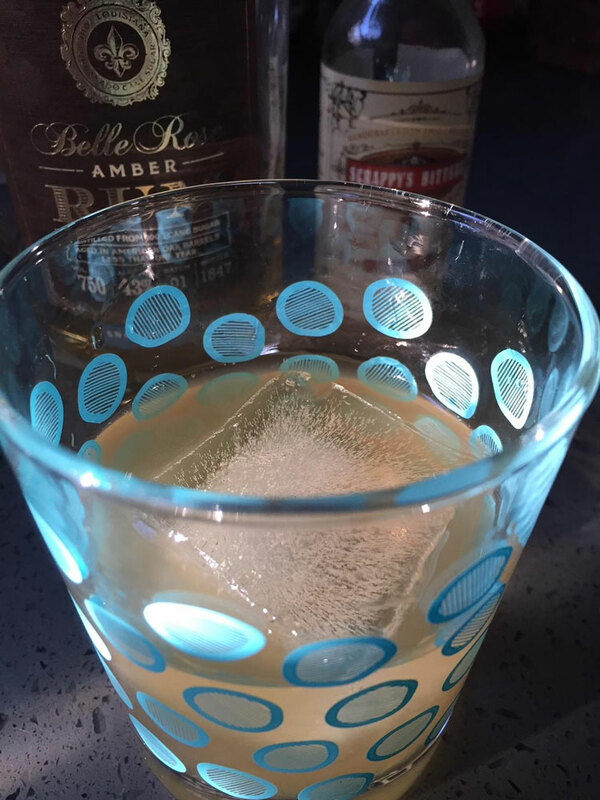 ), and because its apple-caramel flavor (with a little nutty and oak-y happening, too), and slight spice finish, are a fine pick for a nice, solid, regular, wonderful Whiskey Sour. Which is a mighty fine way to celebrate. 1. Fill a cocktail shaker halfway full with ice cubes. Add the bourbon, lemon juice, and syrup. Shake well. 2. Strain through a fine strainer into a cocktail glass. Garnish with a lemon slice. 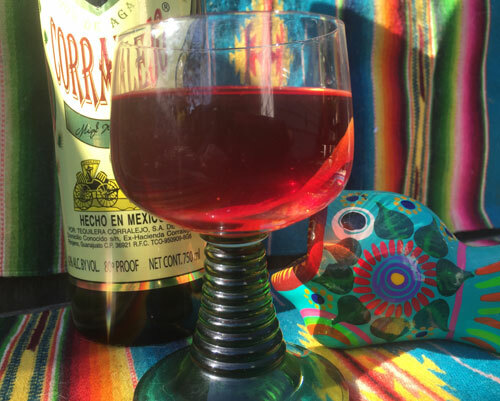 This tequila champion takes its name from a quote from General Ignacio Zaragoza, who commanded the forces at the battle of Puebla (where he, in a massive upset, won the day, and that winning is what is celebrated on Cinco de Mayo, but just because that’s a fact, it doesn’t mean that you should only have this drink then. No, no, no! This drink is good anytime. Know that, and you can skip the whole upset thing, and just be happy). It uses the swell Corralejo Tequila Reposado as its base, a tequila crafted out of 100% blue agave, and then said tequila is aged in American oak for at least three months. 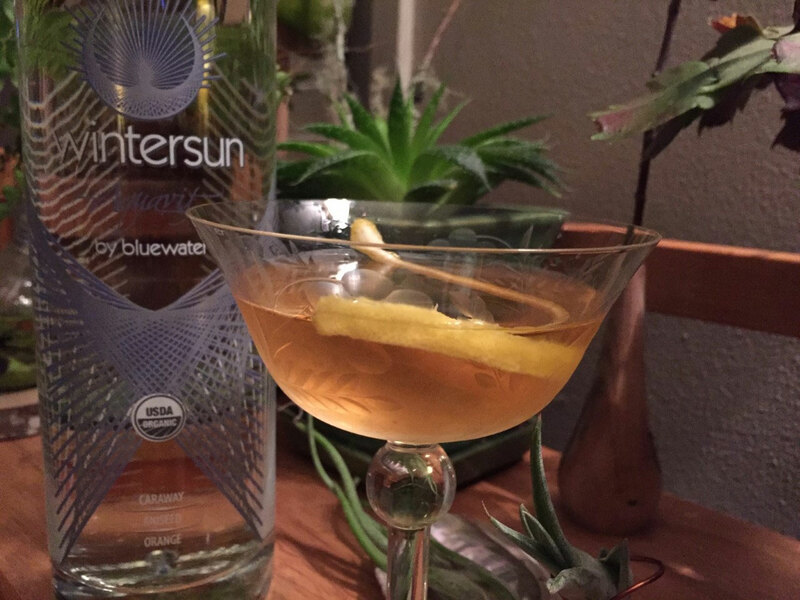 The end result is a smooth agave-spice-caramel flavor that mingles dreamily with sweet vermouth, orange bitters, and a hint of citrus in this very drink. 1. Fill a cocktail shaker halfway full with ice cubes. Add the tequila, vermouth, juice, and bitters. Shake well. 2. Strain through a fine strainer into a cocktail glass. Garnish with the lemon twist. You know a drink’s good when it’s in the title of a book. Hah! See, the funny part is, I’m saying that about this particular drink that is in the title of one of my own books (Ginger Bliss and the Violet Fizz, that is), which probably makes me sound like a bit of a chump. But heck, when you try the bubbly below drink, you’ll forgive me I’ll bet. It’s another one that’s matches summer like a well-matched sock (I really love socks – one more little tidbit about me you were dying to know), as it’s refreshing but not too taxing to make. I suggest it for brunches, where its color and deliciously delicate flavor is sure to be a hit. 1. Fill a cocktail shaker halfway full with ice cubes. 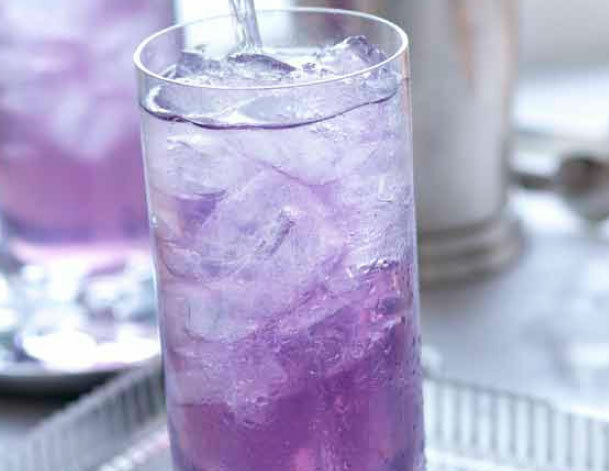 Add the gin, crème de violette, lemon juice, and simple syrup. Shake extra well. 2. Fill a highball glass three-quarters full with ice cubes. Strain the mixture into the glass. 3. 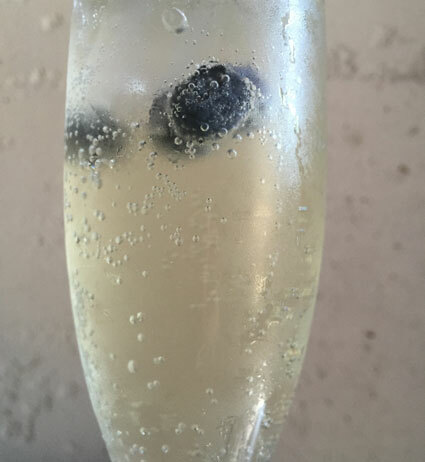 Fill the glass with chilled club soda, stir well, and drink quickly, before those bubbles have a chance to fade. I decided I needed a break from summer cocktails – even though it’s still sweaty time here in Seattle. But even during these sweaty times, some days, darnit, I’m not feeling bubbly. Say it’s the job (it’s the job), or just the first song I listened to today, or that malaise that creeps in like weeds on even the most jolly of us (I am the most jolly), but even in cut-off wearing summer, there are days like this, days when you need something that’s packs more umph, and delivers a respite to the world and the woes. For me, today, it’s the Oriental. In August, 1924, an American engineer nearly died of fever in the Philippines and only the extraordinary devotion of Doctor B. saved his life. 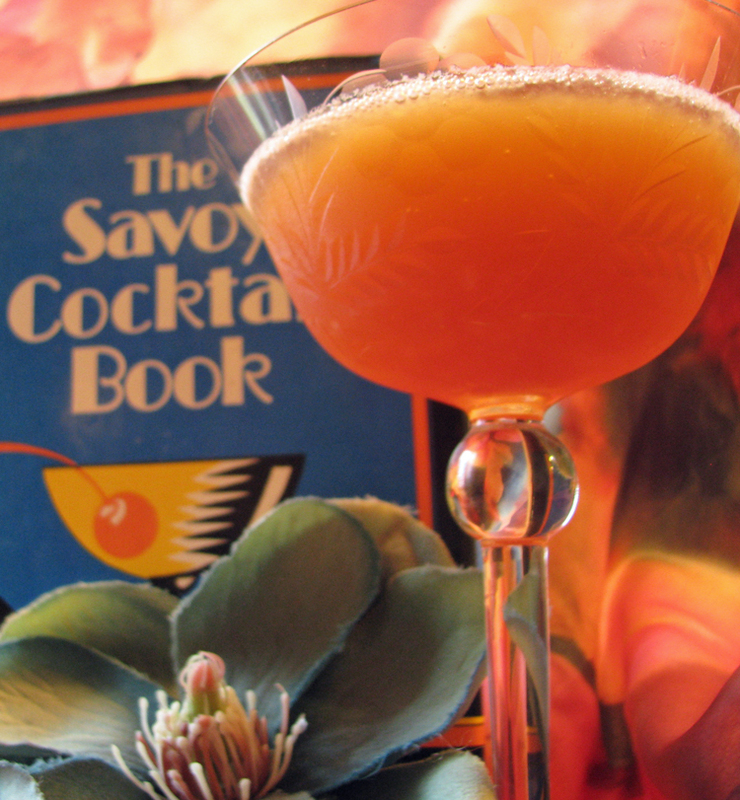 As an act of gratitude, the engineer gave Doctor B. the recipe of this cocktail (the Oriental). So, it’s a lifesaving drink – as well as a bad day saver. Get in front of a fan, forget about all the sunshine, laughter, and summertime kicks outside the window, and start sipping. 1. Fill a cocktail shaker half way full with cracked ice. Add everything. Shake well (as Rick reminds us in the comments below). 2. Strain the mix into a cocktail glass. The Princess (created by my wife, Princess Nat) is one of my favorite summer drinks. It clicks all the hot weather boxes: super easy to make, super refreshing, super tasty. Just super. I suggest having one right now, if your locale has temperatures that have risen above, say, 75. Make a bunch, have some friends over, and kick up yer summertime heels. Just don’t forget the suntan lotion. Oh, wait, one thing! Originally, and usually, the Princess has raspberries, but as you’ll see in the below picture, today I’m making it with blueberries. Because they looked better than the raspberries! Hence the Princess B moniker. You can go either way and be assured of loving this drink. Trust me, friends, trust me. 1. Fill a Collins glass (or another glass – don’t sweat about it, just adjust the amount of limoncello if needed. You’ll know) three quarters full with ice cubes. Add the limoncello. 2. Fill the glass to about a half-inch from the top with the club soda. Add the fresh blueberries. Stir slowly, but with purpose. Don’t be afraid (actually you’re encouraged) to bust up the berries a little. You want to stir until every ingredient is well combined. 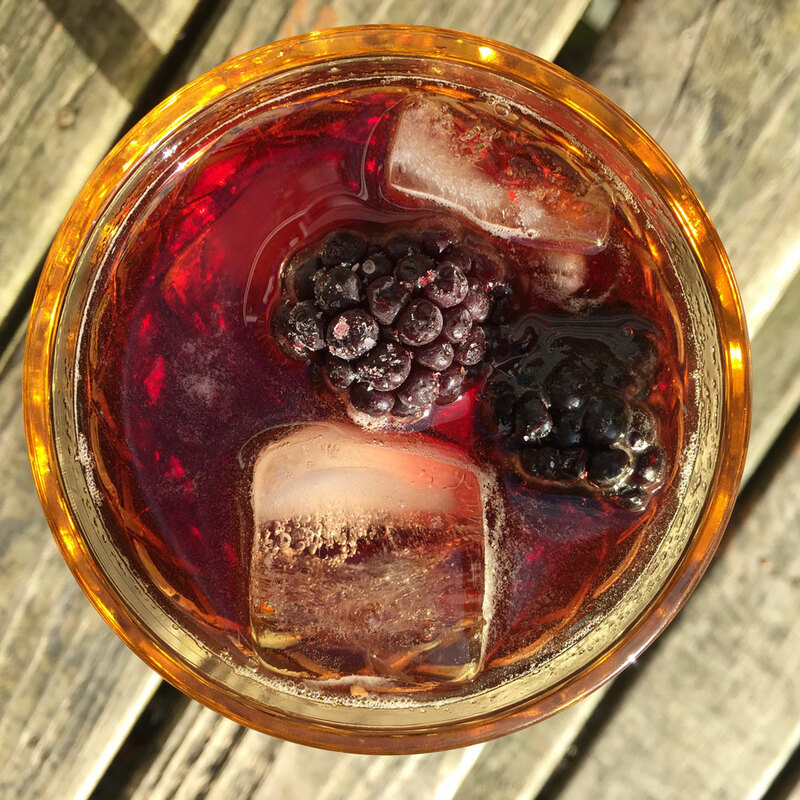 Hey, remember a week ago, when I had a special summertime cocktail featuring Amaro Lucano? The drink was called Good Luck In Pisticci, and was pretty darn amazing (if I can say such without being called someone-who-pats-themselves-excessively-on-the-back). If you missed that post, somehow, go back and read it now. 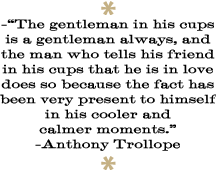 It has lots of info about the particular amari called Lucano, and more. Go on, go read it. Okay, now back to this post, where I’m not going to say anything except that I ended up making two special summertime cocktails with Lucano, and this is the second. It’s also a wine cocktail, for those who understand that wine cocktails are awesome. But enough of this – make the below and be happy. 1. Fill a goblet or other awesome glass (a highball works) three quarters full with ice cubes. 2. Add the wine, Lucano, and Sidetrack Blackberry. Stir briefly. 3. Add the club soda and a few fresh blackberries. Stir again, briefly. Enjoy the sunshine. PS: The name of this means “off track” in Italian, a reference both to the fine folks at Sidetrack, and the fine Italian ingredients in this.